Even adhesive coat across tape eliminates air pockets. Excellent label protection and wide temperature application. 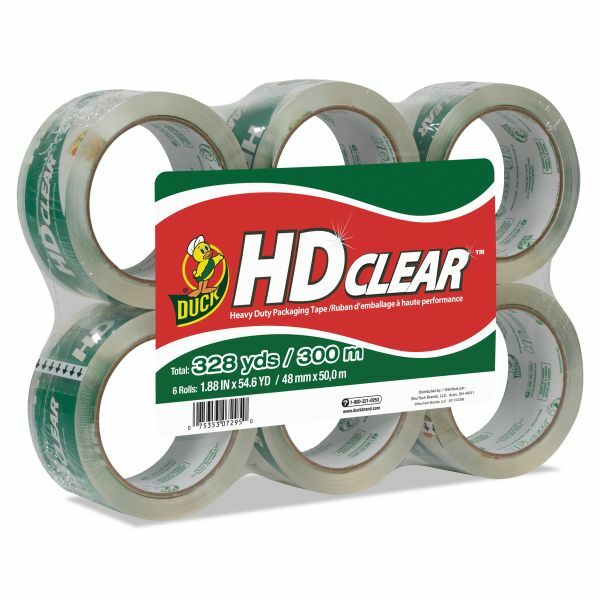 Duck Heavy-Duty Carton Packaging Tape, 1.88" x 55yds, Clear, 6 Rolls - Heavy-duty Crystal Clear Packaging Tape is high-performance grade with a 2.6 mil thickness and a 3 core. 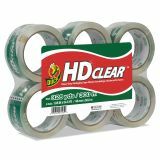 Ideal for heavy-duty box sealing. Special acrylic adhesive is ultraviolet-resistant to reduce aging and yellowing. Smooth, even adhesive coat across tape eliminates air pockets. Tape provides excellent label protection and wide temperature application."